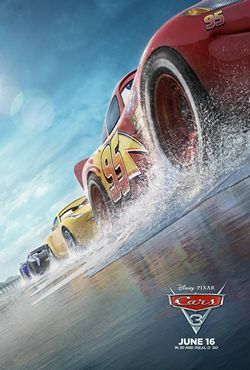 Lightning McQueen, now a seven-time Piston Cup racing legend, and the other veterans of the Piston Cup, suddenly find themselves being displaced by the next-generation rookies such as Jackson Storm, outfitted with the latest technology to break speed records. As the season progresses, the amount of new racers begin to increase, resulting in many veterans either to retire or be fired by their sponsors, to make way for the new generation. Then, on the last race of the season, McQueen gets into a near-fatal rollover crash while trying to catch up to Storm, leaving him badly injured. Read more on Wikipedia.